I'm a Nuby Mommy blogger and received items for review. All opinions are my own. Nuby Fun Pal Teether Review! 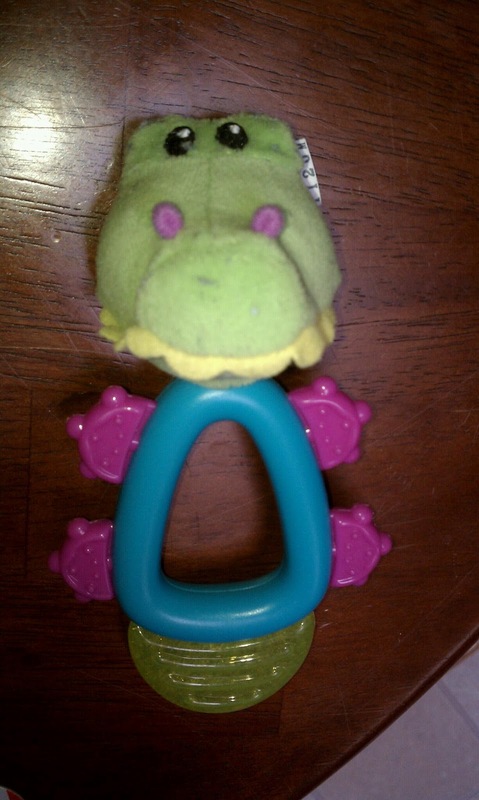 The Nuby Fun Pal teether toy has so many great areas for little man to grip! We love the soft gel part at the bottom and the soft texture of the alligator head too! The "feet" of the toy are neat and help soothe gums, too! We also love that we can put it in the fridge for extra cool soothing on baby's gums!